Sweet Potato vs. Yam. Blame it on Louisiana. My brother is hosting Thanksgiving this year. My younger, bachelor, I don’t have a roasting pan, brother. We’ve all flown in from other locales. A shopping list was sent ahead of time. Upon arrival, we double checked for missing ingredients. He nailed it, but was worried about one thing. And there it is. The question that comes up every year but never gets answered. 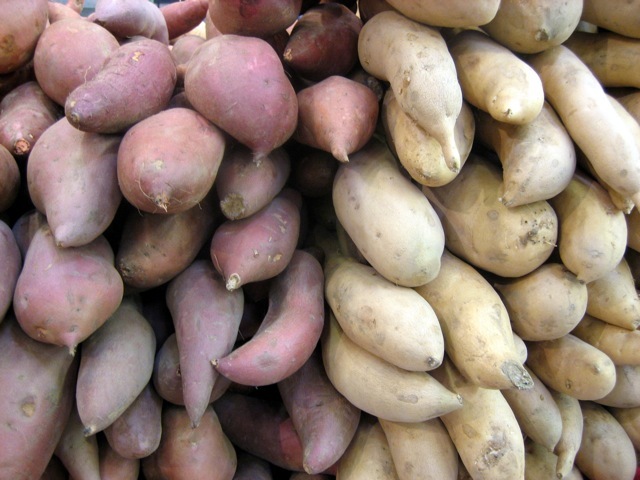 Is there a difference between sweet potatoes and yams? But there was no veggie blog last year. This year, I knew I had to get to the bottom of it. Read more at The Weekly Veggie. Thanks for visiting, and Happy Thanksgiving!